This episode was both scary and fascinating for me. Fascinating (and also a bit creepy!) to see what was going on in my mouth and chest when I play the horn. Scary being in the tube at the beginning – I got used to it after a while but it isn’t the most pleasant place to be. It’s wonderful to think that these videos might be able to help teachers or people with playing problems such as focal dystonia. It was also great to meet Erwin Schoonderwaldt and see his amazing motion capture research on violinists. Thanks so much to the wonderful team at the Biomedical Magnetic Resonance Lab at the Max Planck Institute in Göttingen (that really was a mouthful to say on camera…): Dr Peter Iltis (who came all the way over from the USA for these tests) and Dr Jens Frahm and his team. Enjoy the whole interview with Peter here and check out the outtake to see how to get the spit out of the MRI horn!! 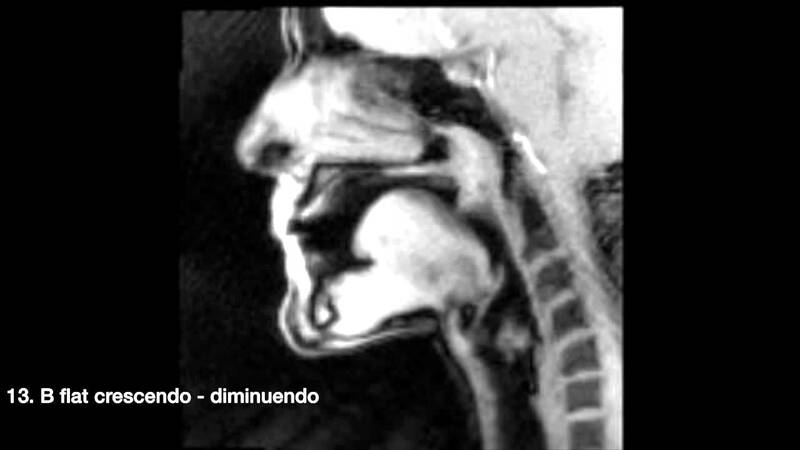 I am also especially proud to be able to offer this exclusive video of more of my MRI horn exercises in the hope that they may be useful information for the horn world. This is such a wonderful project! Holding on to the panic button.